Easy to show! Quick closing and occupancy available. Great 4 bedroom 2 and a half bath home with a fenced rear yard situated near a quiet, playful cul-de-sac. MASTER BEDROOM IS DOWNSTAIRS! with 3 bedrooms (one en suite) and a loft/nook upstairs. The kitchen-centric home is great for entertaining with views of all downstairs living areas from the heart of the home. 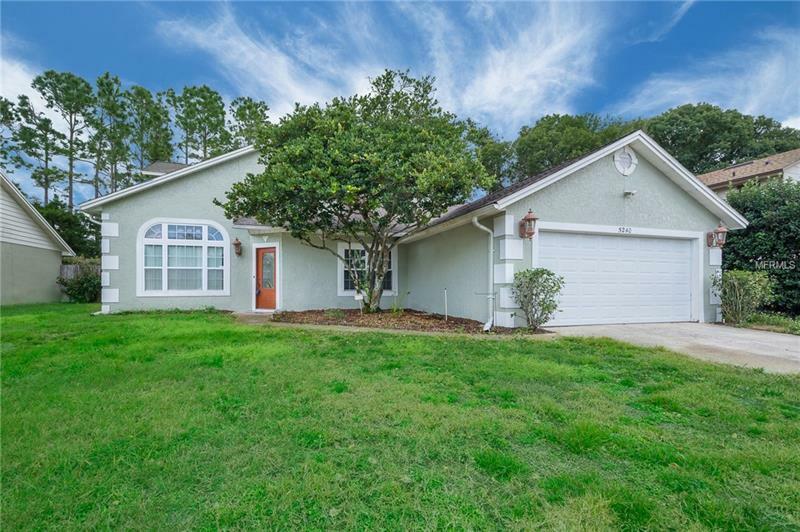 Convenient to Winter Park, Tuscawilla Road, 417 Expressway, the University of Central Florida and Full Sail University as well as Trinity Preparatory School! Enjoy beautiful laminate floors, recent carpet (2015/2019 in Master Bedroom) and a spacious 2 car garage.